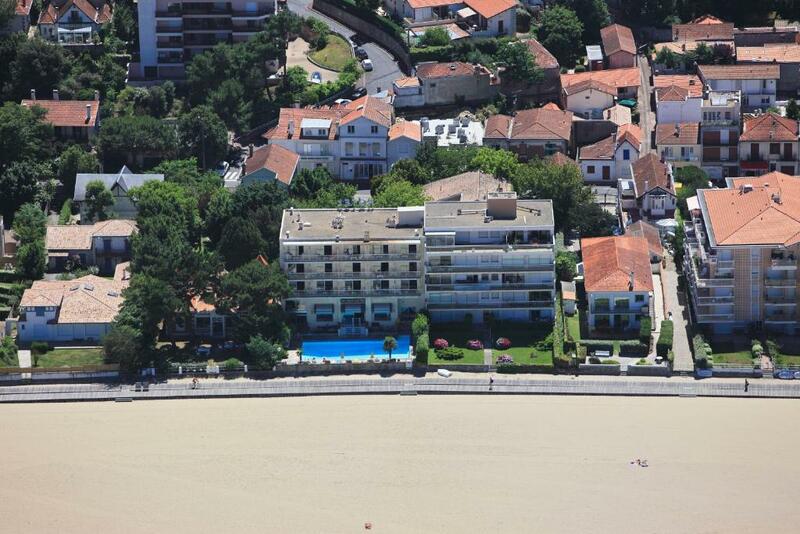 Lock in a great price for Arc Hôtel Sur Mer – rated 8 by recent guests! 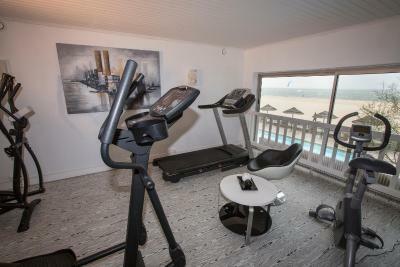 Location is excellent for direct access to the beach, short walk along the board-walk to the Marina to the right and the centre with restaurants and bars to the left. Secure on-site parking with gates closed at midnight with buzz-in to night porter after this. The hotel is in a great location. A bit old fashioned in style but nice. We liked it. Easy walking distance to restaurants and town center. Right on the beach. Being able to walk out of the hotel straight onto the beach. A peaceful location just five minutes walk from the centre. Plenty of restaurant and cafes. The location of this hotel is absolutely perfect. 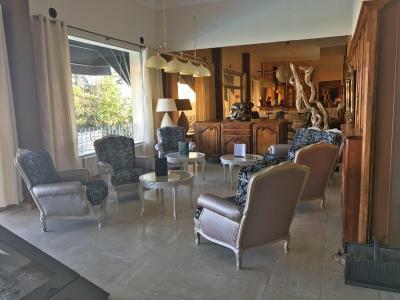 Close to the city centre and also just on the beach with the great view from balcony to the bassin and the port. Also the parking just in hotel yard is something what makes this hotel unique. Breakfast was very good although a tad expensive . The staff were very helpful and pleasant. There were no taxis to be found in Arcachon and a member of staff gave us a lift to the station! We had a garden view room which we found to be preferable because it got the evening sunshine on our balcony and there was no wind. 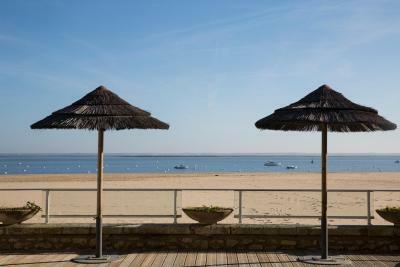 Location, Arcachon itself, most staff seemed pleasant enough. This is a nice clean hotel well situated for enjoying the beach . 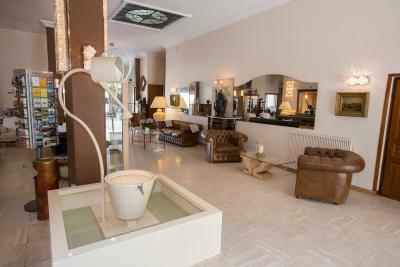 It has character and all the facilities for an enjoyable stay. Staff very helpful. One of our top picks in Arcachon.Offering free access to a seasonal outdoor swimming pool and a fitness center, Arc Hôtel Sur Mer is located in Arcachon, with direct access to the beach. Free WiFi access is available. 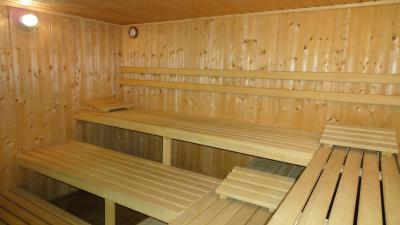 A sauna, a hammam and a hot tub can also be enjoyed on site at an extra cost. Rooms here will provide you with a flat-screen TV and air conditioning. Featuring a bath or a shower, the private bathrooms also come with a hairdryer and free toiletries. Extras include satellite and cable channels. 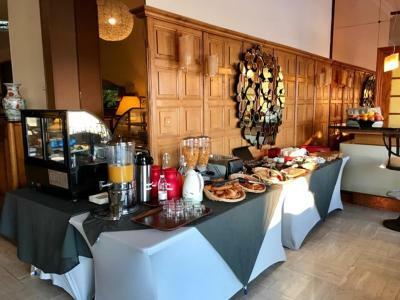 At Arc Hôtel Sur Mer, other facilities offered include 24-hour reception and room service, meeting facilities, a shared lounge and luggage storage. 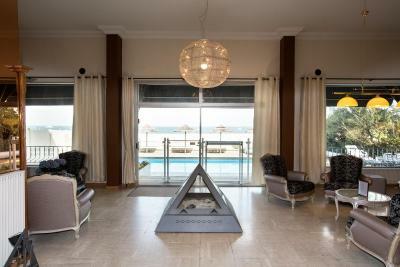 An array of activities can be enjoyed on site or in the surroundings, including billiards. 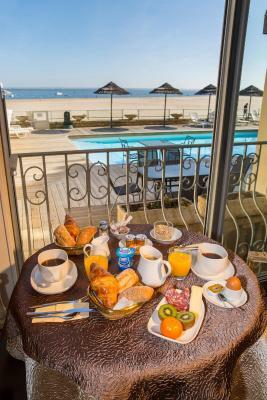 The hotel is 1,950 feet from Aquarium museum and 2,300 feet from Arcachon Convention Center. There is free on-site parking. 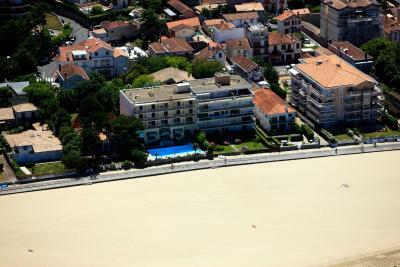 When would you like to stay at Arc Hôtel Sur Mer? This triple room will provide you with a flat-screen TV and air conditioning. 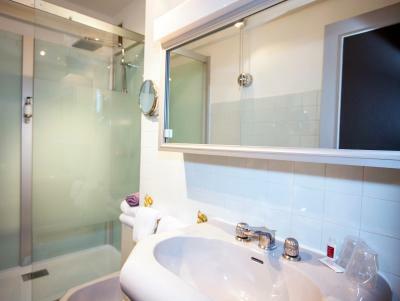 Featuring a bath, the private bathrooms also come with a hairdryer and free toiletries. Extras include satellite and cable channels. This room type cannot accommodate an extra bed or a baby cot. This double room will provide you with a flat-screen TV and air conditioning. 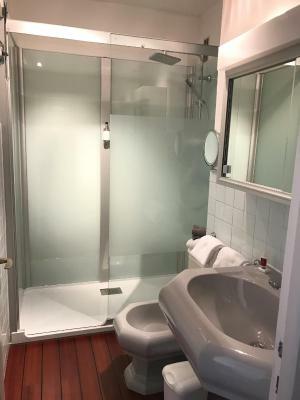 Featuring a bath, the private bathrooms also come with a hairdryer and free toiletries. Extras include satellite and cable channels. House Rules Arc Hôtel Sur Mer takes special requests – add in the next step! ANCV Chèques-Vacances Arc Hôtel Sur Mer accepts these cards and reserves the right to temporarily hold an amount prior to arrival. 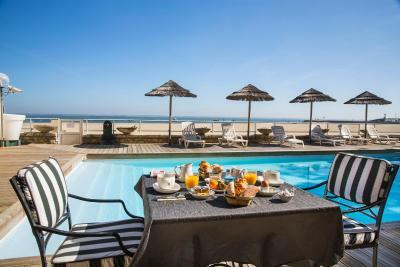 Arc Hôtel Sur Mer accepts these cards and reserves the right to temporarily hold an amount prior to arrival. Baby Cots: EUR 10 per day. They didn't consider the kid on the booking and they asked us to pay 30€ extra per night. Moreover, SONA and JACCUSI are extra (not informed during reservation) and way way over priced. When checking out, they told we have to pay jaccusi and Sona separately (not informed when purchasing the service). 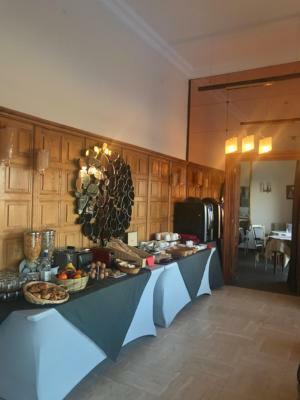 People are extremely rude, hotel is old, not confortable, NOT AT ALL ACCORDING to the described image. Way too expensive for the given service. Just don't go. 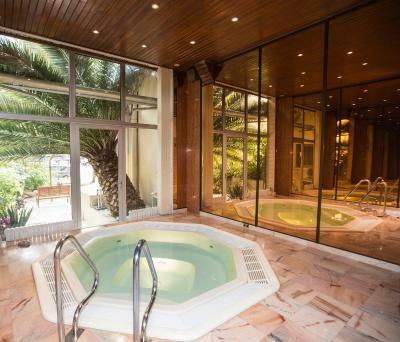 It was stated that facilities we're included in the price however the jacuzzi was 10euro pp for 30mins , & sauna did not work ..the swimming pool was not heated, therefore no facilities we're in fact available..bit disappointing for the price. Good location, straight on esplanade , room was simple but clean & spacious. In September when we went, the outside pool was always in the shade even on sunny days. So it was very cold to swim and too cold for using sun loungers. Breakfast was an expensive extra with little choice to eat for the price. Staff were friendly and helpful. Beds were comfortable. Room spacious and had a balcony. Easy walk along the boardwalk into the centre. The en suite in our room was in need of a bit of work. It was obvious that the shower had been over the bath previously. There was no fitting on the wall so it had to be hand held. A bit of a pain. The electrical trunking in the w/c was held together with tape. This was not a show stopper for us but it is why we did not give the hotel an excellent. Heated pool. Direct access to beach. Good breakfast. Inadequate space for breakfast. Decor somewhat dark and dated. The hotel décor and bedrooms were excellent. The bathroom was not. It needs a serious upgrade. No proper shower, strange awkward taps. It was dated and the door on the separate loo did not shut properly. Shame as the hotel is in a good location and the staff were very friendly. Next time we shall book a sea-view room. The garden was very nice and quiet, but would take the sea-view next time.